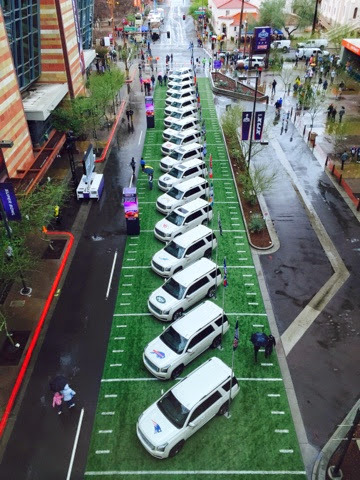 As part of our trip with GMC to the Super Bowl, we went to the NFL experience. I've been to the baseball Hall of Fame, and the NFL Experience is even better for kids. There's lots of stuff for them to do there, and we ended up doing a lot of it. 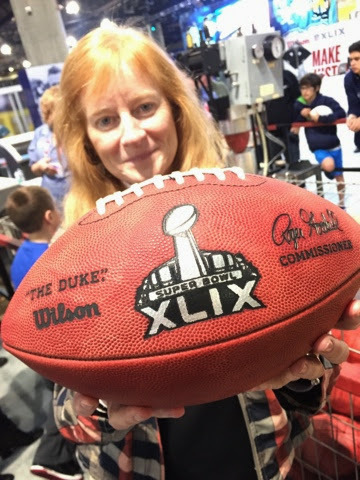 There was an exhibit where you could see how footballs got stitched up, and we examined these super bowl footballs very carefully. 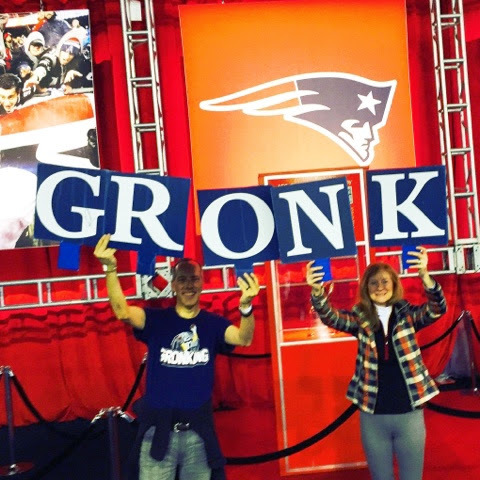 We found these fans from New England, bring these GRONK signs to all the games, and they brought them down to the NFL Experience. We borrowed them for a second. 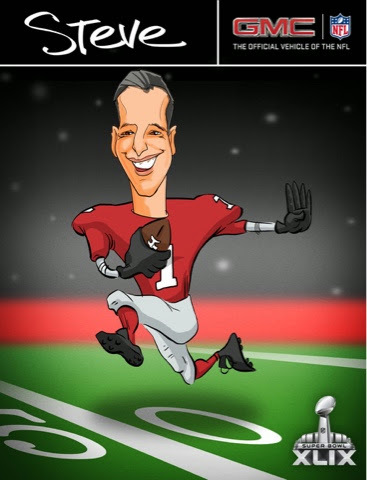 This guy drew my caricature, and I think it came out pretty well. 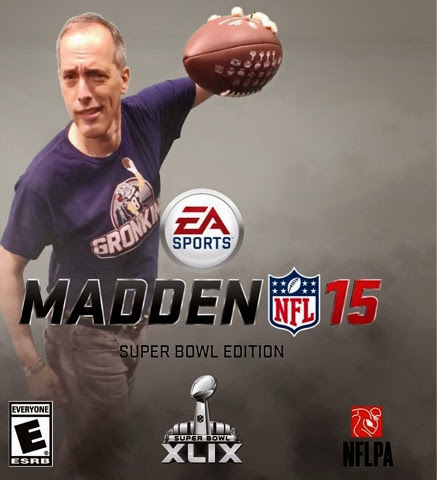 They also had a green screen where they could take a picture you, and then put it on the front about Madden NFL game. This one was fun. 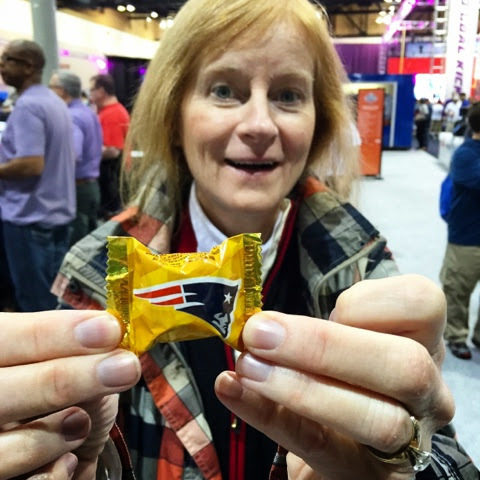 We also grab some patriots Snickers Patriots candy. 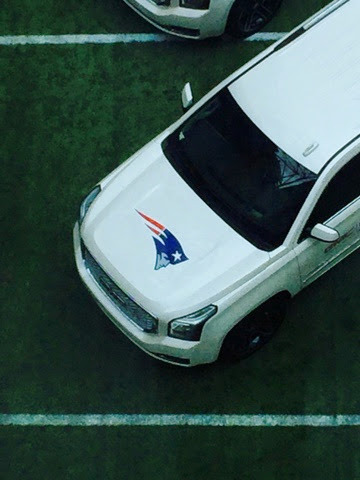 Outside was an impressive lineup of GMC Yukon Denali's, each one with the team logo on the hood. We're number one, we're number one, we're number one. If you ever get the chance, the NFL Experience is a great thing to attend with families. 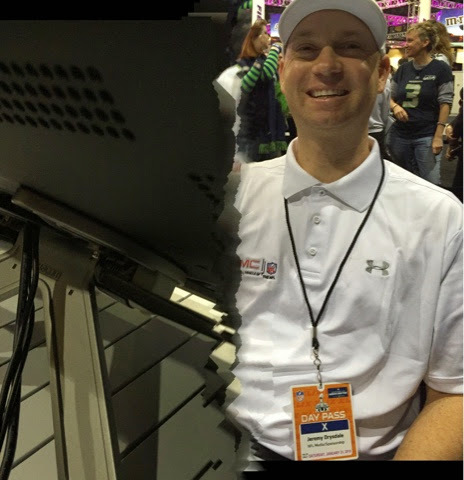 Created this video on an iPhone 6 in the GMC Yukon Denali and uploaded over the truck's WiFi.